We're delighted to have Caryn Lix here to chat about her debut novel, SANCTUARY. Caryn, what was your inspiration for writing SANCTUARY? I always remember that C. S. Lewis said he started The Chronicles of Narnia with an image of a fawn by a lamp post. That's how my stories start, too: with a single image. In the case of SANCTUARY, it was Kenzie standing at a porthole, watching her father's shuttle return to Earth, wondering if her family would ever be the same, with a horde of superpowered prisoners at her feet. From there the larger story grew. But I always seem to start writing from one single image, line, or character, and this was the one that inspired SANCTUARY. This is a story I constantly tell my sixth graders, because I don't ever want them to give up on their dreams. I realized I wanted to publish a book when I was fourteen, and I signed my publishing contract when I was 37. That's twenty three years from dream inception to realization! In more realistic terms, I wrote off and on for those twenty three years, including two finished novels prior to Sanctuary. I got a lot of good feedback on them, but it was "almost but not quite." That can be the most discouraging thing: to have a lot of people interested, but no one bite. You start to wonder if there's a point. You start to consider quitting. I did quit, more than once. But I kept coming back because I couldn't stand to not write! All in all, I would say I spent about ten years writing and seeking publication -- sometimes intensely, sometimes sporadically -- before finding my niche with SANCTUARY. 1. Find a balance between what you love and what sells. If you love to write young adult paranormal, that's what you should do -- but you should also take a look at the market and see if there's any hope of publishing a novel in that category. For example, I love dystopian literature, but the market is so saturated in that it makes it hard to work with at the moment. At the same time, though, I couldn't force myself to write contemporary. There are so many wonderful contemporary novels, I would be doing them -- and myself -- a disservice by trying to shoehorn into a market that isn't my passion. Write what you love, but try to be realistic about it. 2. Don't give up. It's a cliche, but it's valid. Writing is subjective. Publication takes time, and the book world moves at a snail's pace. Don't let that get you down. If this is what you love, keep at it. 3. Find yourself a community -- and take their advice. NOTHING goes to my agent or editor until I've run it past my critique partners. Sometimes the things they tell you will be hard to hear. That's how you know you have good partners. If you're not getting anything but love, you're with the wrong people. My rule is to have two or more critique partners. If one highlights something in my text and I disagree with them, I'm pretty comfortable ignoring it, but if a second critique partner flags it, I have to seriously consider that I'm in the wrong! Caryn Lix has been writing since she was a teenager and delved deep into science fiction, fantasy, and the uncanny while working on her Masters in English literature. Caryn writes novels for teens and anyone else who likes a bit of the bizarre to mess up their day. When not writing, Caryn spends her time obsessively consuming other people’s stories, plotting travel adventures, and exploring artistic endeavors. She lives with her husband and a horde of surly and entitled animals in southern Alberta. 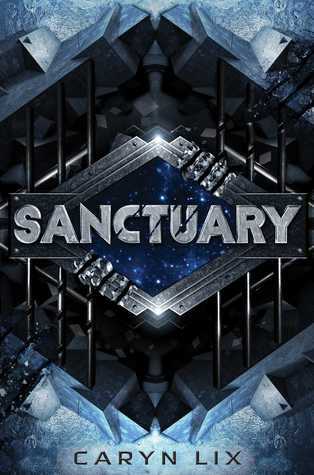 Have you had a chance to read SANCTUARY yet? Are you able to find the balance between writing what you love and writing what sells? Do you have critique partners that you trust? Share your thoughts about the interview in the comments! Free 1st 5 Pages Writing Workshop is Now Open! Free 1st 5 Pages Writing Workshop Opens Today!